We sell handpulled screenprinted art for the homebrewing and craft beer community. All of our prints are printed on high quality artist’s paper using sustainable ingredients. Our competition only seems to offer cheap, glossy, thin posters that don’t represent the quality that homebrewers strive for. 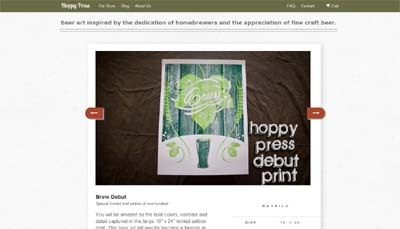 Hoppy Press strives to offer a quality product that can framed and savored for years.